This free game combines Tetris and Columns for a good action/reflexion game. 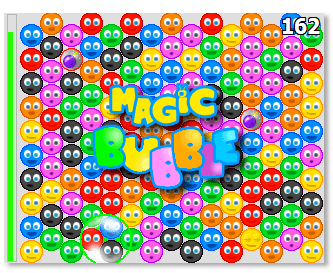 You must align bubbles to make combination and make new highscores. 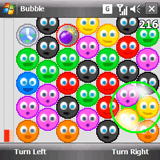 As soon as at least 3 bubbles ot same color are connected, all the other color connected bubbles disappear. 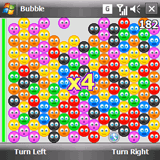 Perform chain combo to multiply your score, and don't forget to use bombs and time bonus! Copyright © 2010 Manbolo. All rights reserved.